Be proud of your accomplishments. They are better than you realize. If you are concerned that your humanities major or non-corporate work experience is going to be a red flag, use your resume, essays, and interviews to fill in the blanks. You may not have managed a ten million dollar budget, but you bootstrapped your way to a successful campaign with a budget 1/20th the size. You may not have led a team in a consulting project, but you developed a new system to get information from the school board down to the students that increased efficiency ten-fold. Always be proud of yourself. You are doing amazing work and the more you begin to realize that, the clearer it will become to the admissions team and your classmates. I suspected finance and accounting were going to be the biggest challenge areas for me. But, as it turns out, if you’re good at math, with a little practice you can figure out a WACC and balance assets & liabilities with no problem. What I didn’t anticipate was sitting in Macroeconomics with my eyes perpetually glazed over. 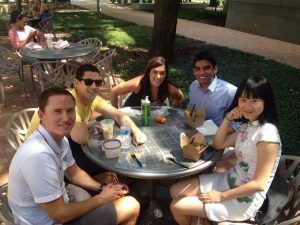 There’s no getting around it – to be successful in an MBA classroom, you have to speak the language. That means learning to think about how the economy ebbs & flows, and knowing the general workings of the corporate world. I would recommend dedicating time each day (nothing too drastic) to reading WSJ or The Economist. At the very least, regularly check out the business section of your favorite news websites. You will survive if you don’t know what the Fed is up to right now, but it will only help if you do. I would also recommend taking a dip in the world of podcasts. Special shout out to Planet Money, The Broad Experience, and The Startup Podcast for making some intimidating subjects quite palatable. Look for your people. They are everywhere. You are not an island. There are literally hundreds of classmates that are equal parts nervous and excited and ready to share their knowledge with you. One of the reasons I chose Texas McCombs was for its collaborative spirit. I knew I would need to swallow my pride on more than one occasion, so spending two years with classmates who were genuinely happy to help me through my journey made every day better. If you struggle through Finance, find a friend with expertise to get you through harder assignments (I’m looking at you, Joel). Pay it forward by offering up your skills that may not come naturally to others. I promise people want to help and be helped by you – all you have to do is ask. More importantly, find the friend that can get you through the other, less academic stuff, too. The moments when you want to crawl into bed after a less-than-stellar day. I realize this sounds like I’m saying “find a friend,” but what I mean is find your person – the one who relates deeply to your experience. Somebody who maybe also feels a little in over their head and might even be prepping for the same classes and interviews as you. This friend will be your best friend. This friend is your cheerleader and your most empathetic ear. The MBA program will also help you. 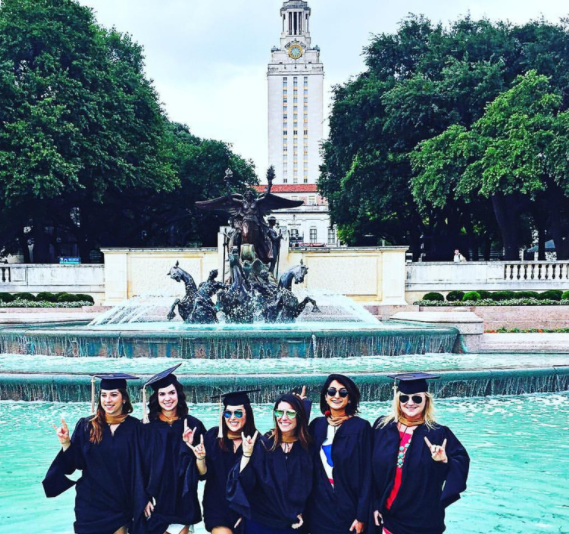 The non-traditional candidate is such a myth, in fact, that Texas McCombs has built a program to help new students with less quantitative backgrounds get caught up. There are so many students like you and me that there are literally classes catered to us! 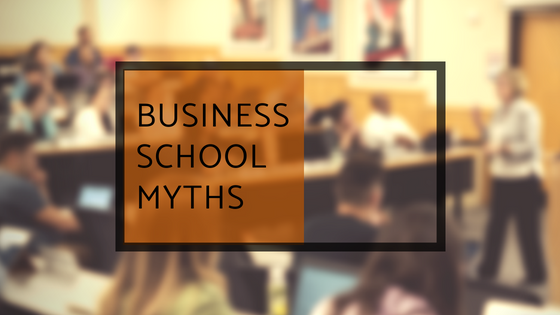 Before the program began, the MBA offered a “boot-camp.” It was a three-day intensive program where I learned the most important skills from Excel, financial modeling, and statistical analysis. We also got a refresher course on accounting as a supplement to the foundation homework we had been given over the summer. I highly recommend you attend boot-camp if you have any inkling you might need it. It was a great quick dive into the curriculum, and also introduced me to some of my closest friends several weeks before the program began. Most importantly, relax. You are smart. You are capable. You are going to do great, unconventional background and all.